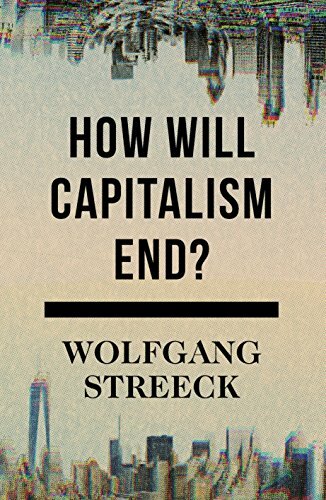 How Will Capitalism End: Essays on a Failing System by Wolfgang Streek is a riveting, disheartening and infuriating collection, written by an eminent academic who comes at economics via sociology, explores the vulnerabilities of capitalism and lays out a compelling argument that it’s doomed because of it’s own success. His point is that as an economic system, capitalism requires constant checks from a strong democracy and labor force, primarily, to save it from itself and ensure that the wealth it generates is distributed to society in ways that, at least minimally, benefit a broad enough swath of people to ensure stability and continued consumption of goods and services. Specifically, he points to the dismantling of labor unions and the hijacking of democracy by the wealthy elite as the two forces that historically slowed unbridled growth and the redistribution of wealth upward. He pays special attention to the financialization of wealth, which allows the wealthy to make money off of money, and creates — in essence — two economies: the one in which most of us are mired, and an international economy at the very highest level, run by the elites for the benefit of the elites. This is one of those books that I highlighted practically every other paragraph, growing increasing angry and hopeless as I progressed. There’s quite a bit about the European markets, which was a bit foreign to me, but still compelling as it helped round out the drivers of the global economy. And one section was about how the study of economics, to its own detriment, has marginalized the lens of sociology, which is a bit arcane, but still interesting. It seems we are in that vice grip right now, as the wealthy grow wealthier and their wealth defenders target labor and the poor as a new market to tap. I think the author would argue that it really doesn’t matter — a system that feeds on growth and that is built to extract and concentrate wealth, unless there are political and social interventions (as in years past) is a fire that must burn itself out, especially because this redirection of wealth away from the 99 percent takes money out of the pockets of consumers and locks wealth up in offshore banks that serve no one other than the banks and the wealthy one percent. That’s bound to end in flames. The only question is will we act to protect capitalism from itself, and redirect wealth into our communities, or will we simply wait to see what new economic system emerges from the ashes?